Arizona State University | Help Us Get to AMI 2019! Help Us Get to AMI 2019! The Alliance Management Institute (AMI) is the largest national conference designed to prepare college students for a career in the nonprofit field. The conference serves as a capstone experience for individuals receiving the CNP and is attended by upperclassmen, graduate students, and professionals dedicated to building and improving the future of nonprofit organizations. Students who attend AMI have the unique opportunity of experiencing educational workshops, networking opportunities, and career development activities. Attending AMI is a learning experience that begins long before the conference commences. Aspiring Certified Nonprofit Professionals (CNPs) at ASU actively participate in a fundraising campaign to attend AMI, using knowledge and skills attained from their coursework. This year, 13 students will attend AMI 2019 in Orlando, Florida from January 2 – 4. The cost of attendance is about $1,700 per student. Our goal is to raise $22,000 for this year’s campaign. According to a study by the Nonprofit Leadership Alliance (NLA), there is a significant leadership gap in current and prospective nonprofit employees. In order to address this gap, the NLA is strengthening the social sector with a talented and prepared workforce. As students at ASU, this allows us to put theory into practice, bringing resources into our local community and contributing to the future of the field. 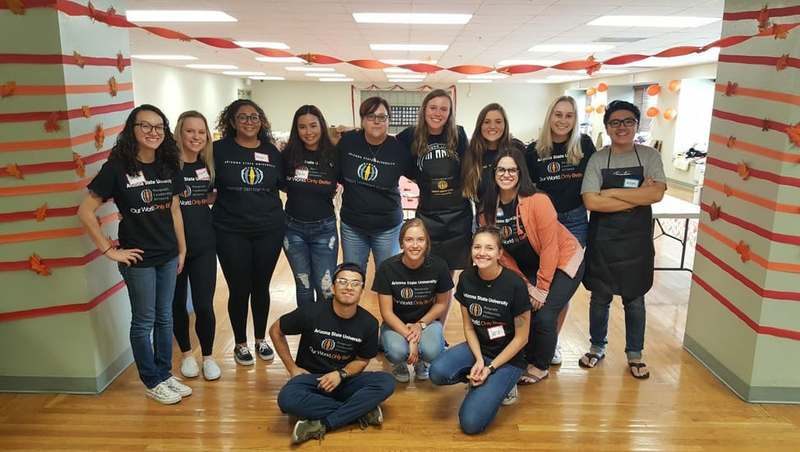 The Nonprofit Leadership Alliance Student Association (NLASA) – formerly known as American Humanics – is a group of dedicated and passionate students actively pursuing their Certified Nonprofit Professional (CNP) credential. The CNP is a nationally recognized academic program sponsored by the Nonprofit Leadership Alliance. Students who graduate as Certified Nonprofit Professionals demonstrate mastery in the advocacy, management, & development of nonprofits and represent the top tier of nonprofit professionals. The NLA program at Arizona State University has grown into one of the most well-respected NLA affiliated programs across the country. In recognition of the programs growth and success, our program was awarded the 2018 Campus Program Excellence Award at last years AMI conference - an award given to the campus partner that evidences the best practices in nonprofit career preparation and growth. Provide its members with tools that would enable them to attain managerial and executive positions in the nonprofit sphere; present opportunities to actively address real world issues facing nonprofit organizations through case studies and group collaboration; and facilitate the creation of lasting relationships with nonprofit organizations, peers, and leaders. 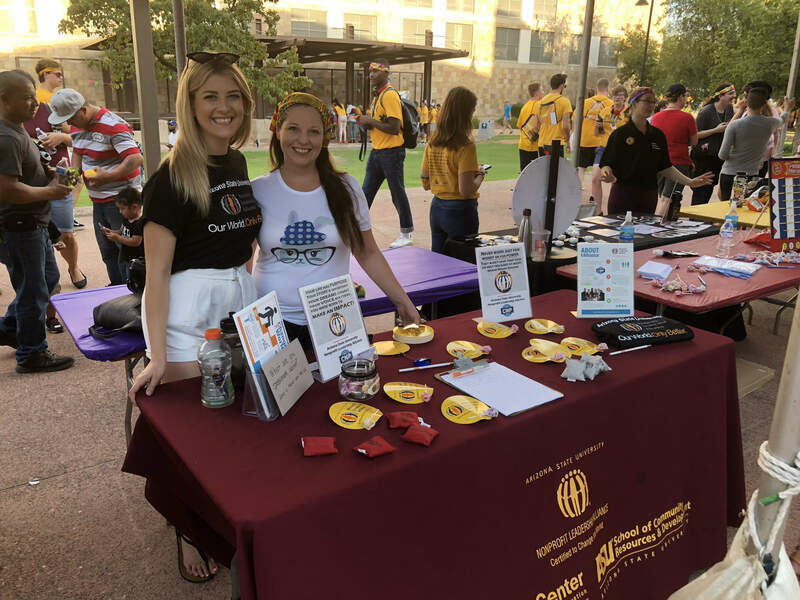 Alumni from the ASU Nonprofit Leadership Alliance Student Association currently hold positions at organizations such as: Best Buddies, 4H, American Foundation for Suicide Prevention, International Rescue Committee, Changemaker Central, Childhelp, and Foundations of multiple educational institutions. Everyone can make an impact in this world. You can make yours, by helping our students attend this conference. Through your kind donations, you are investing in a secure workforce filled with well-prepared nonprofit professionals. Improving our world, by first improving the nonprofit workforce. A gift of $13 dollars signifies the 13 lucky students attending the conference! A gift of 40 dollars represents the 40 different campuses attending the conference. A gift of $150 would cover the cost of meals for one student. A gift of $250 would get one student in the door, covering the conference registration fee for one student. A gift of $354 would cover the round-trip airfare to Orlando. A gift of $510 would cover one student's total hotel stay. A gift of $850 represents future and current CNP's attending the conference. A gift this generous would cover a student's full AMI experience.